This report summarizes NICHQ's learnings and impact from the Improving Follow-Up to Newborn Hearing Screening by Working Through the Medical Home project, which sought to improve the long term outcomes for children with hearing loss by strengthening follow up to newborn hearing screenings. This report details the framework and approach NICHQ recommended for training pediatricians to deliver care to children with chronic illness in a medical home model by redesigning pediatric training programs in California. This issue brief details state Medicaid models that provide incentives for the use of effective contraception to support healthy, planned births. Additionally, the brief includes examples of state strategies to improve postpartum follow-up to monitor mothers' physical and emotional health, as well as start discussions about birth spacing and future pregnancy plans. This issue brief details the effectiveness of progesterone in preventing preterm births for at-risk women, the current barriers to progesterone access and how some state Medicaid agencies are creating new reimbursement models to make it more readily available. 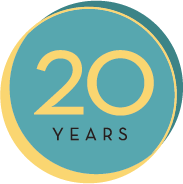 The ADHD toolkit established standards for the diagnosis and treatment of ADHD. 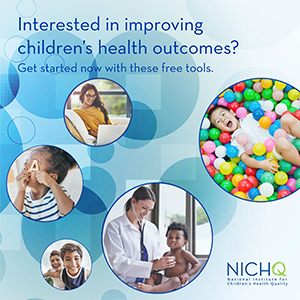 The NICHQ Vanderbilt Assessment Scales are used by healthcare professionals to help diagnose ADHD in children between the ages of 6 and 12. Effective leadership can make or break an improvement initiative. In these four short videos, leadership expert Gwen Webber-McLeod, president and CEO of Gwen Inc., provides strategies for improving your leadership style. Follow along as she guides you on managing communication, dealing with dysfunction and learning to practice self-care.